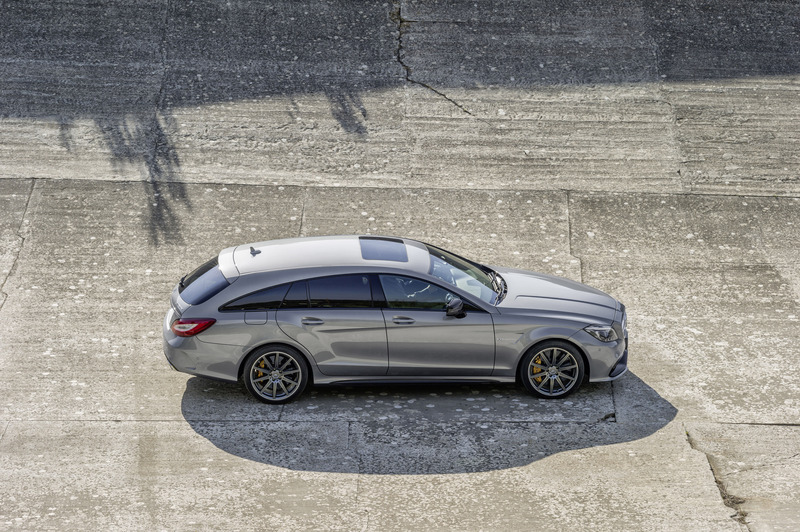 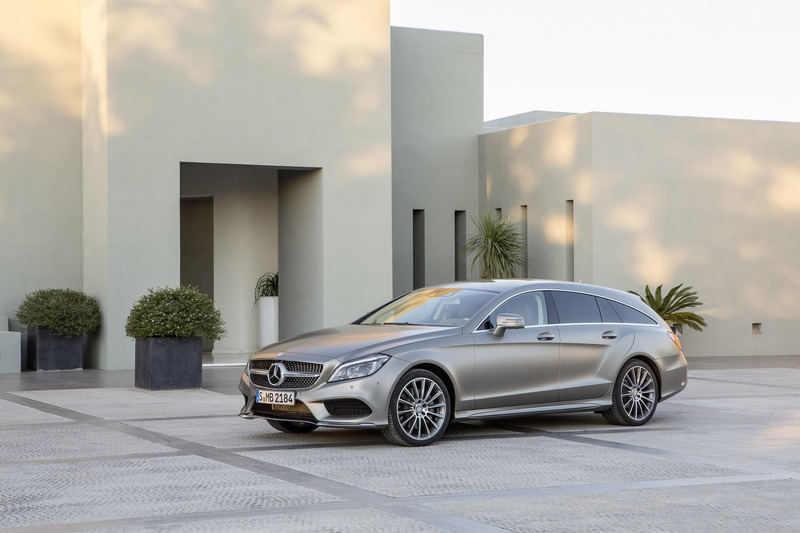 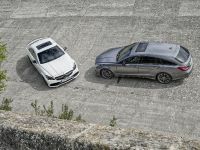 2015 Mercedes-Benz CLS and CLS Shooting Brake were revealed yesterday, showing-off their new looks and plentiful standard equipment. 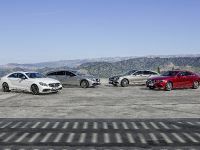 In addition, these new Mercedes-Benz vehicles deliver lower emissions and are regarded as the fastest generation of CLS yet. 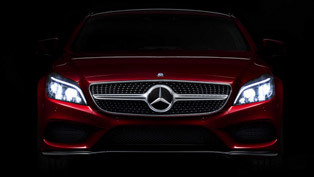 One of the most important features in the range is the new Multibeam LED headlights. 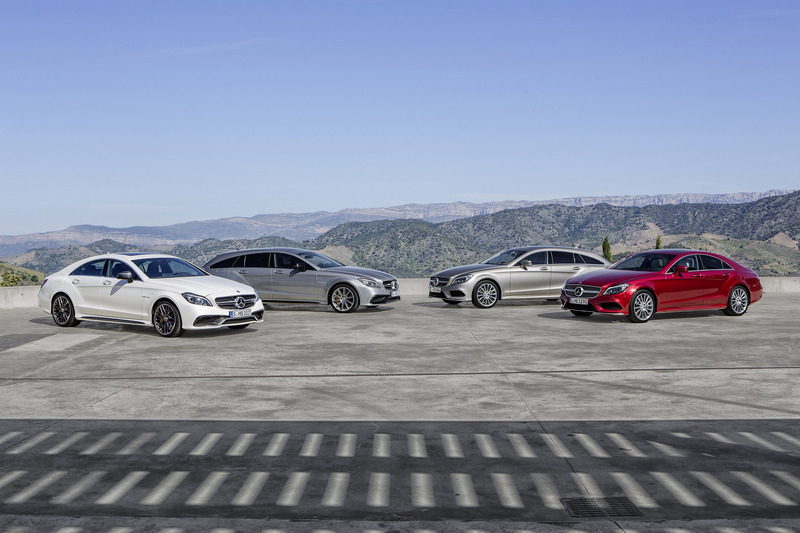 They include 24 individually-controlled LEDs automatically adjusted 100 times per second. 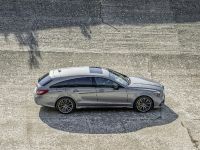 This is done with the help of a camera and four control units. 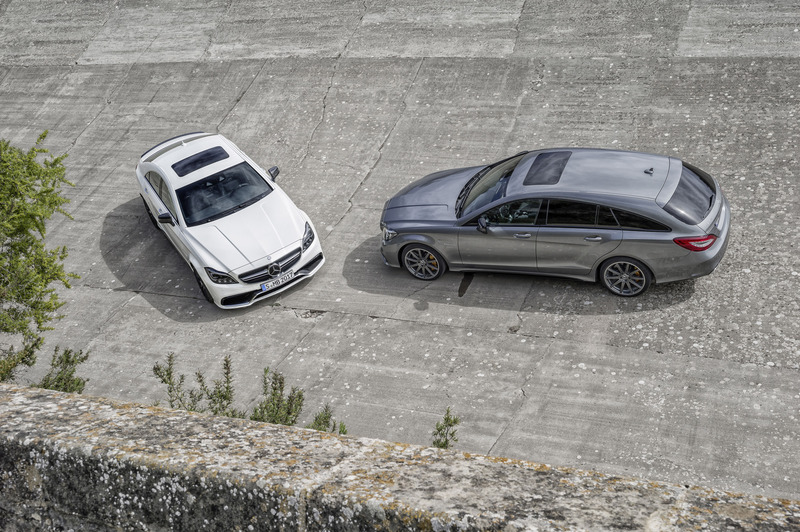 Furthermore, this new technology detects vehicles and automatically adjusts the light beam. 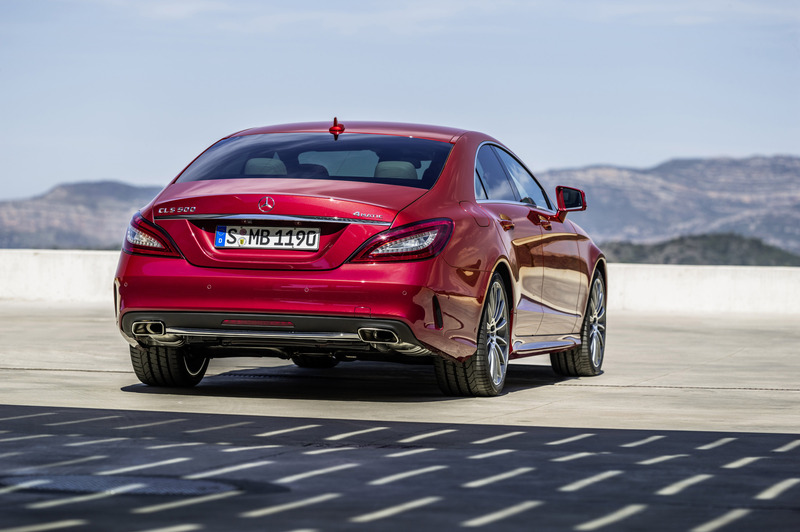 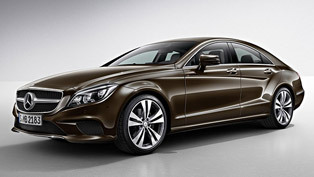 The new CLS range starts with the 220 BlueTEC, which is powered by a 2.1-litre diesel engine. 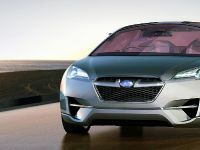 The unit is capable of producing 177 hp (130 kW) and 129 g/km of CO2. 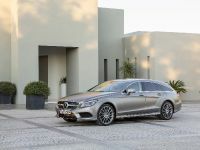 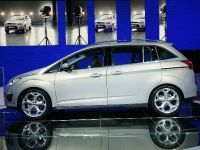 There is a second diesel model, powered by a six-cylinder 350 BlueTEC engine, which delivers 258 hp (190 kW) and emits 142 g/km of CO2. 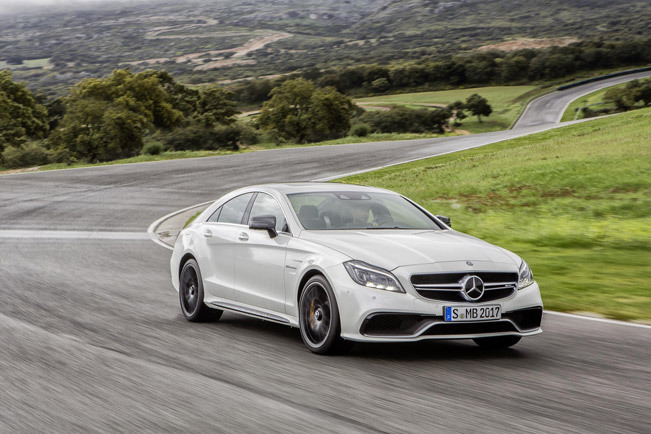 For the firs time this engine is coupled with a nine-speed transmission as a standard. 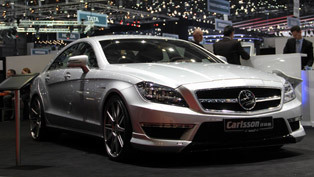 Next, the petrol V6 powerplant powers the CLS 400 Coupe and delivers 333 hp (245 kW). 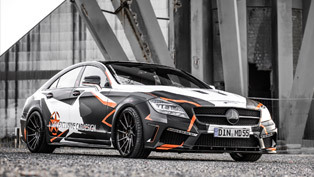 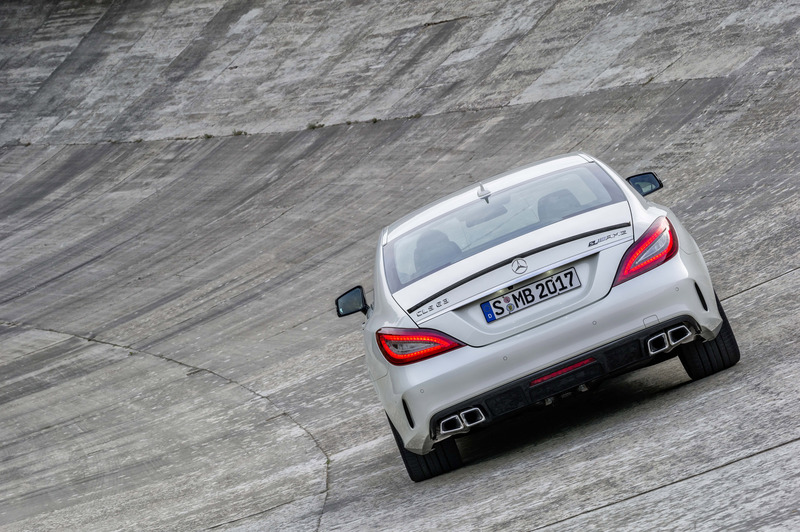 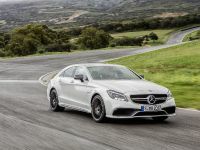 At the top of the range stands the CLS 63 AMG S, which is capable of generating 585 hp (430 kW) and 800 Nm (590 lb-ft) of torque. 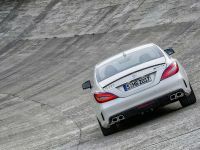 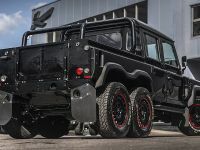 The powerful model is equipped with a limited slip differential and can accelerate from 0 to 100 km/h in just 4.1-seconds. 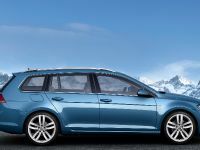 There are many upgrades in the range that are coming as a standard: COMAND Online, heated front seats and the ambient interior lighting system. 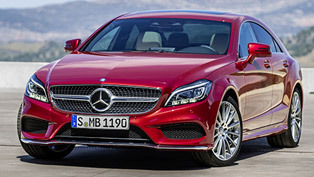 Mercedes-Benz is offering two option packages. 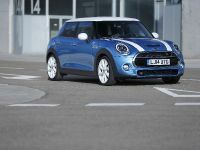 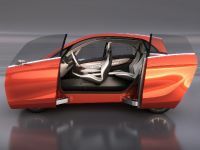 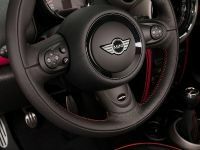 The Premium Pack adds an electric sunroof, seat memory package, reversing camera and split/folding seats. 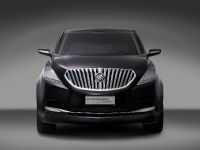 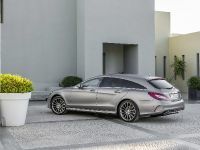 The second optional package is the Premium Plus Pack that adds all the features of the previous one, but also includes a Harman Kardon sound system and Keyless Go. 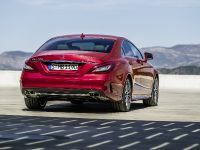 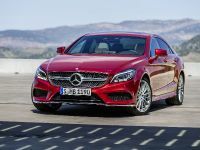 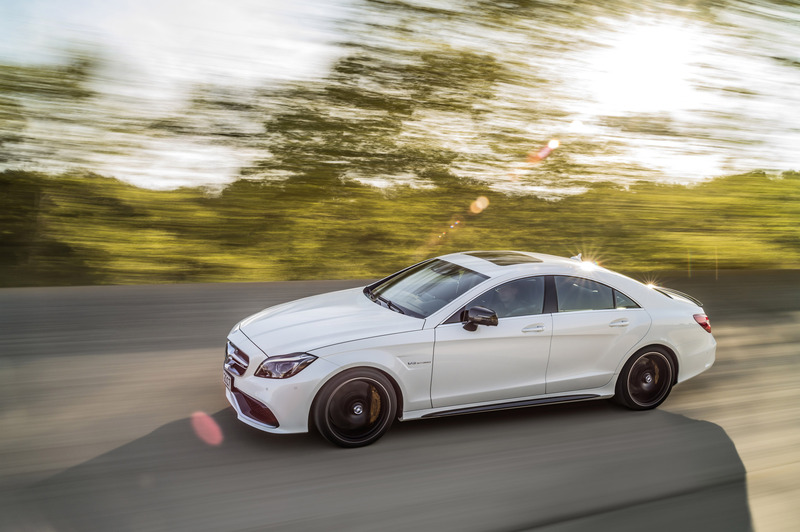 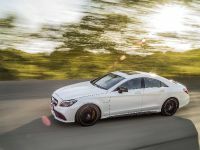 The features on the CLS 63 AMG S include an electric sunroof, Keyless Go, the ambient lighting system, a Harmon Kardon sound system, reversing camera, split folding rear seats and a powered tailgate being. 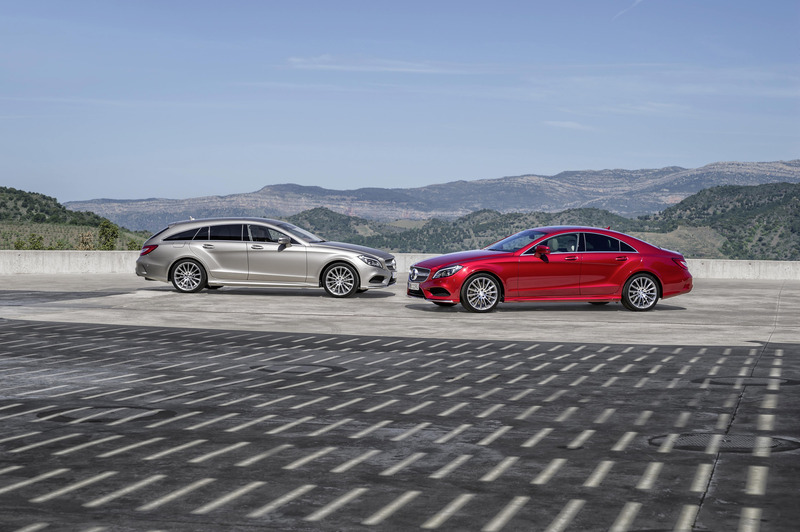 Every CLS will come equipped as a standard with an eight-inch tablet-style screen. 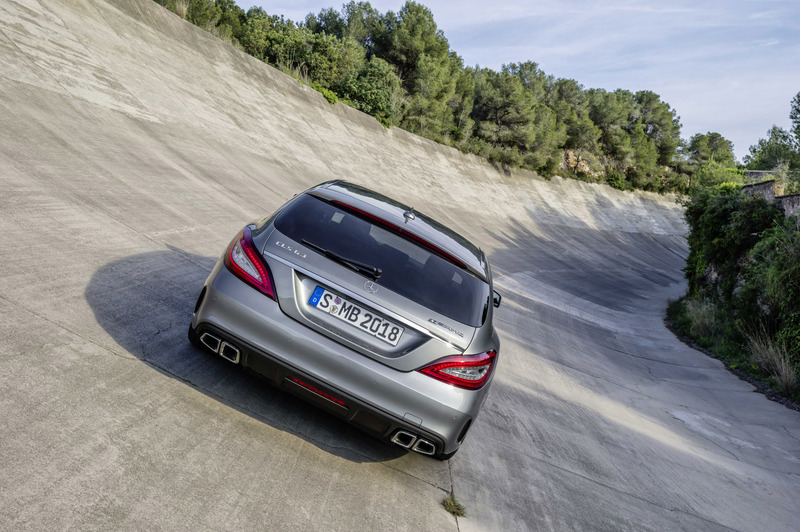 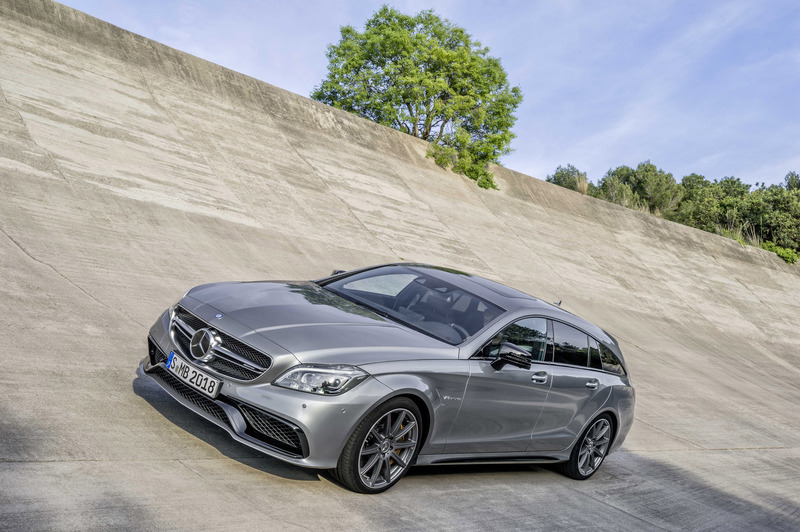 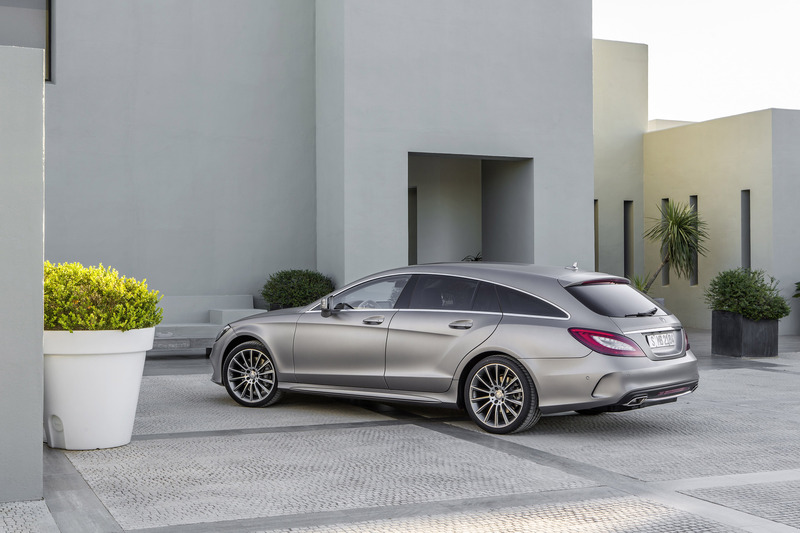 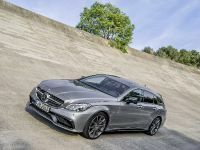 2015 Mercedes-Benz CLS Coupe and CLS Shooting Brake will be available to order from July and the first deliveries will begin in September.